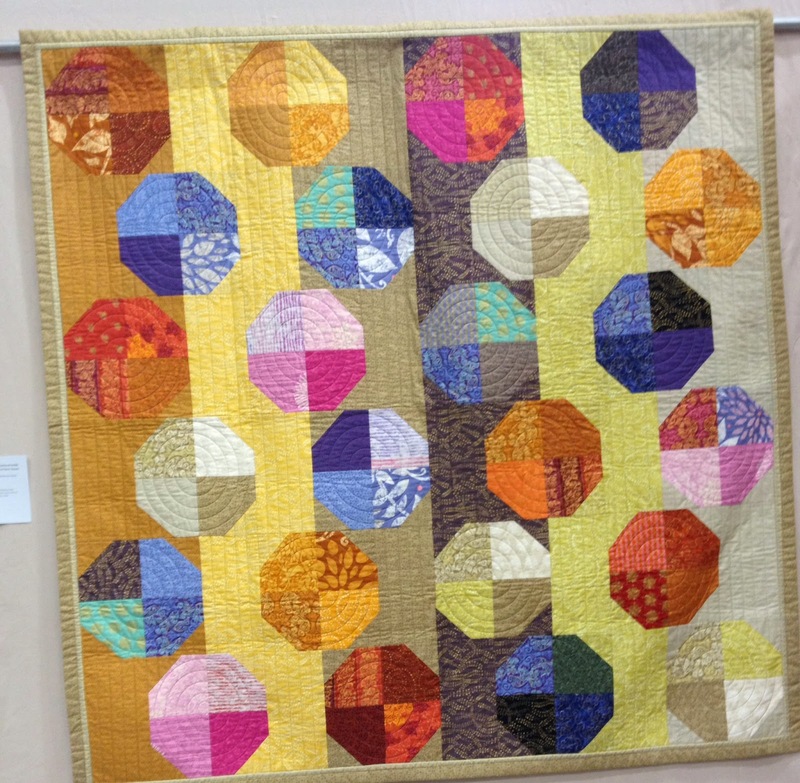 This weekend was the 35th Northern Star Quilters’ Guild Quilt show, in Somers, New York. 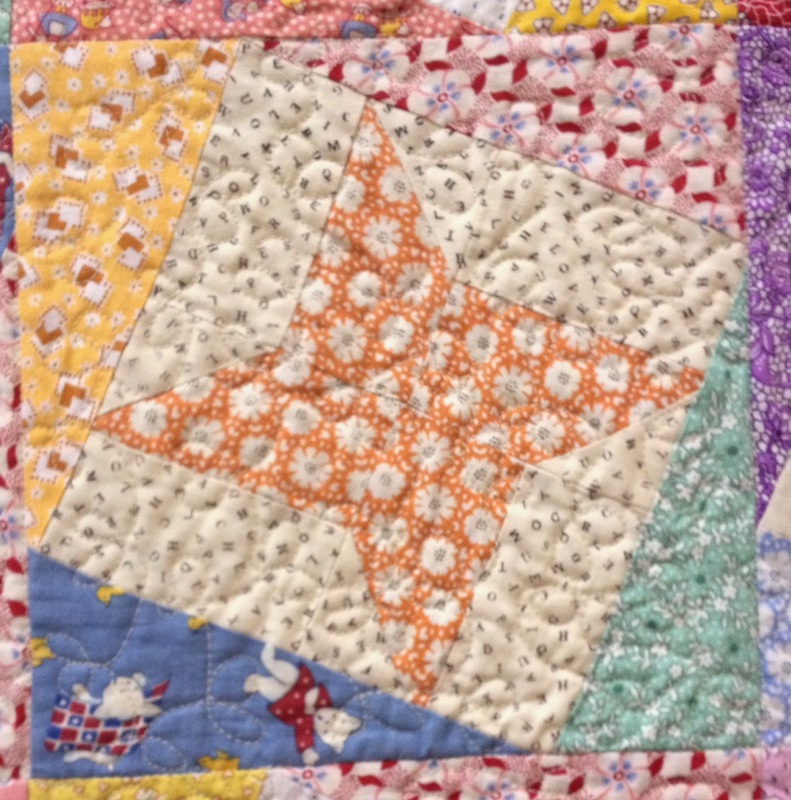 Quilters from New York City, Westchester, Duchess, Putnam, Rockland counties, and mid to southern Connecticut participate. I met visitors from Long Island, New Jersey and Pennsylvania. I know this show draws visitors and vendors from all over the east coast. 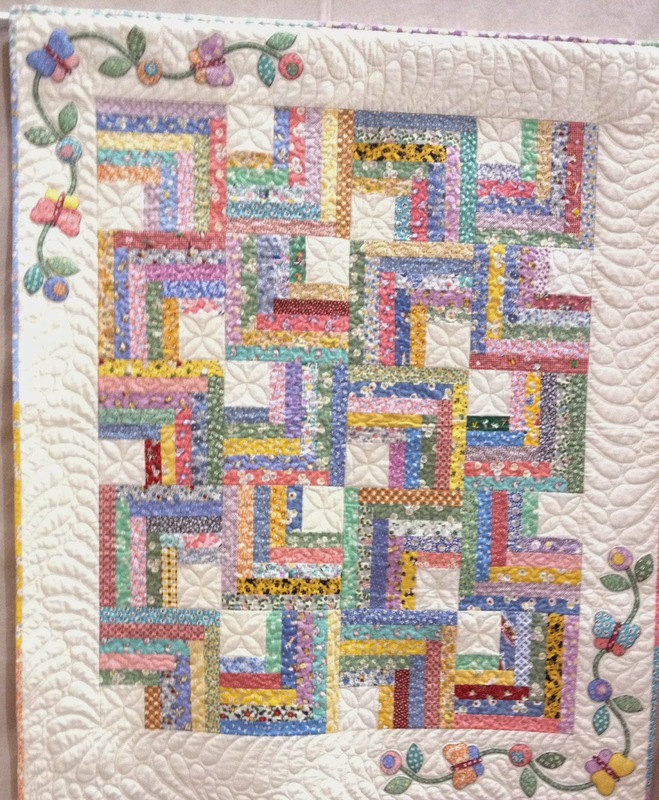 Fortunately, I didn’t spend anything on stash, because I just purchased a beautiful, large bundle, which I am excited to share later this week. So I went in, paid my admission and for my friend Zahra, who came with me. We went downstairs to the main show, which had already been judged. 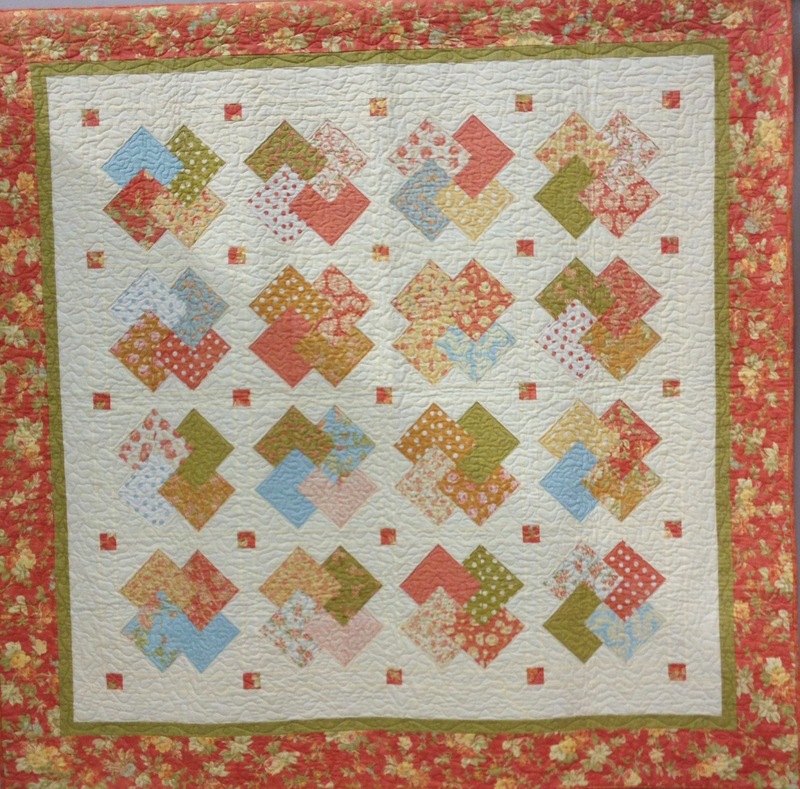 I am happy for two friends from my bee, the Serendipity Quilting Bee. They won blue ribbons in their categories + one!! 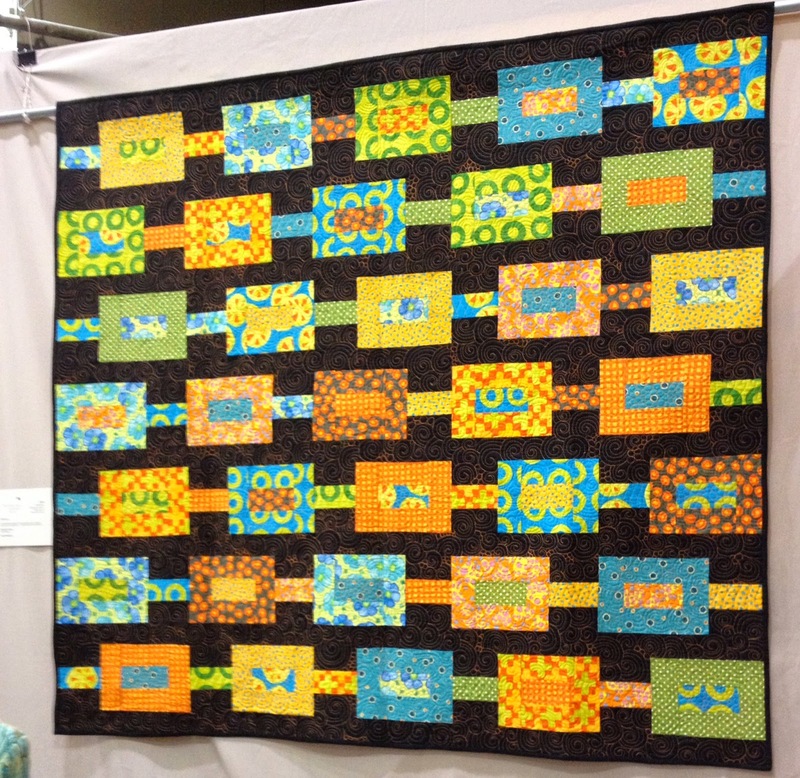 Karen and Rene, who are incredible quilters, and outstanding at hand applique won ribbons. I am so happy for them. 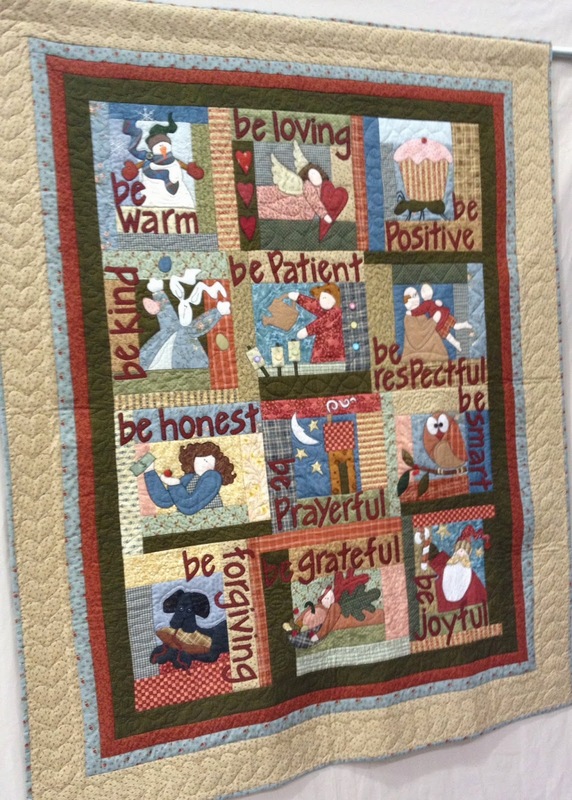 Their beautiful quilts will be pictured in this post. 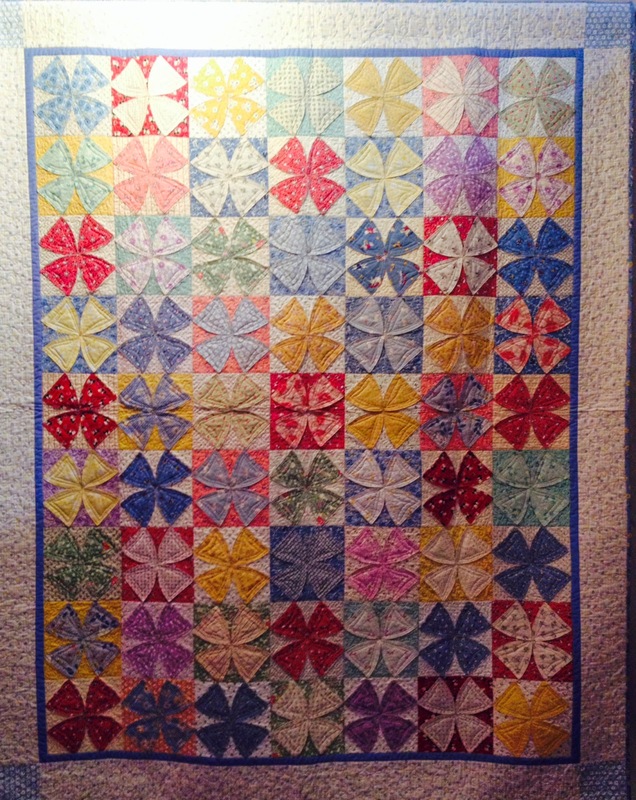 This is Karen’s quilt. It is stunning and the photo doesn’t do it justice. 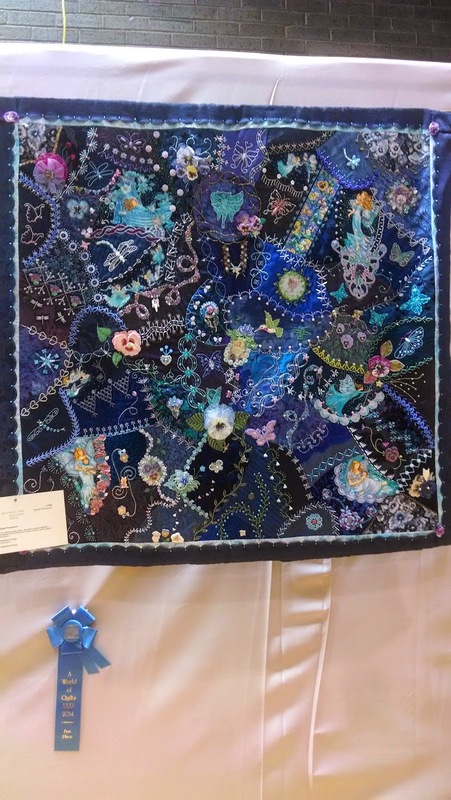 She won the blue ribbon for the best hand quilting. 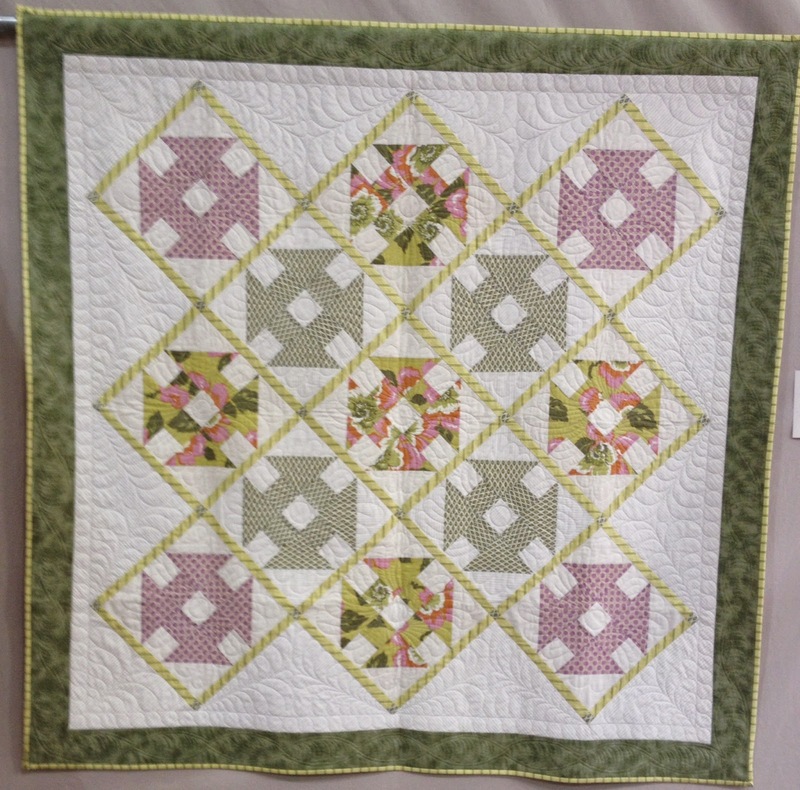 And the pink ribbon for an honorable mention for a wall quilt, traditional design, hand or machine quilted by maker of this applique quilt. (That’s the +1 ribbon). 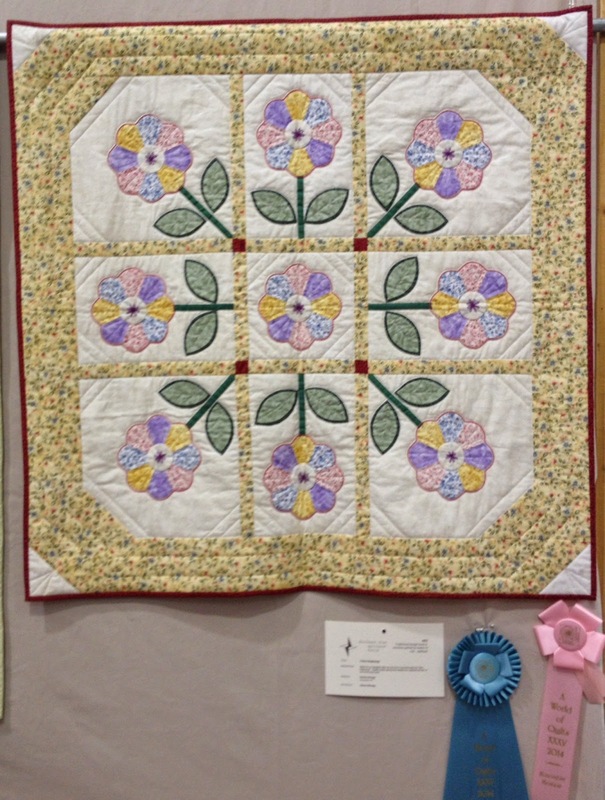 Rene won a blue ribbon for the best hand applique quilt. 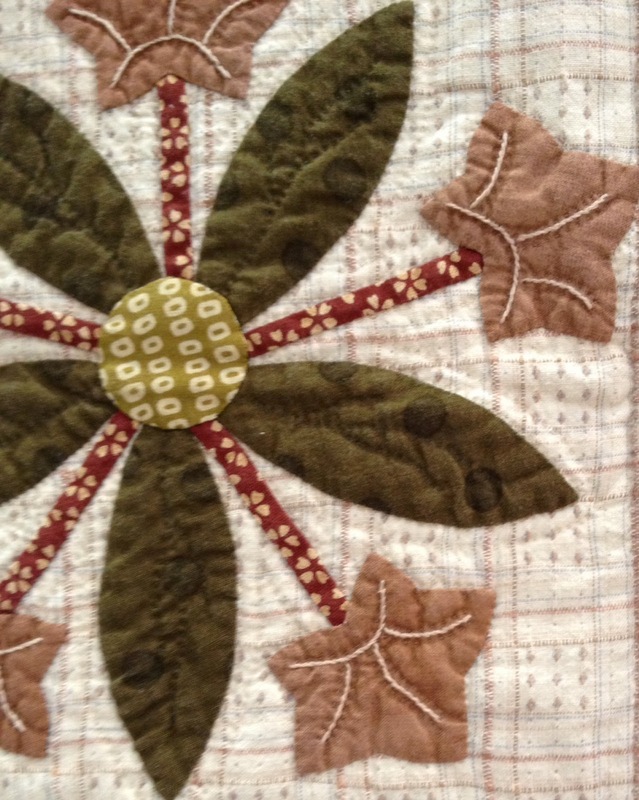 This is an up close of her amazing embroidery stitches. 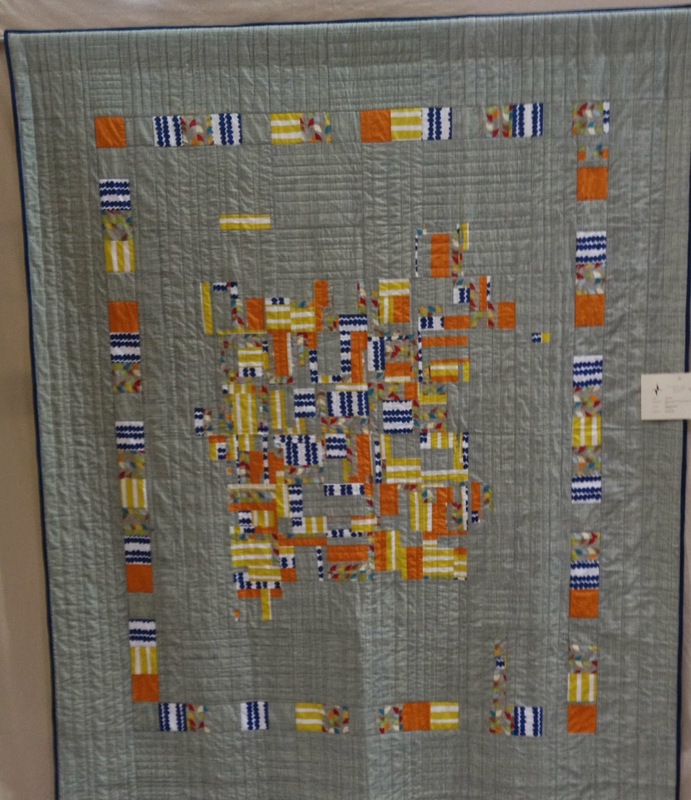 This quilt was an amazing modern quilt. 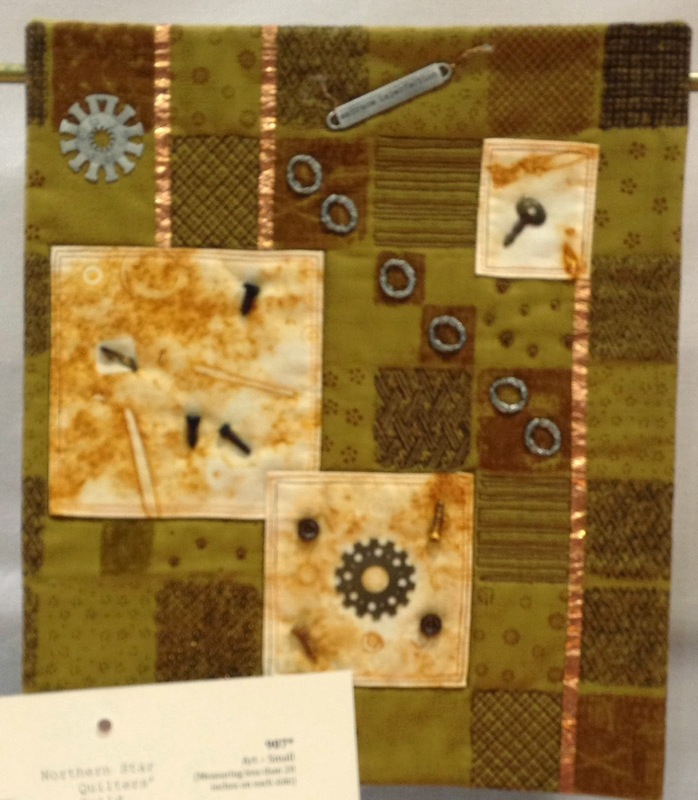 The quilt above had metal objects sewn into it. 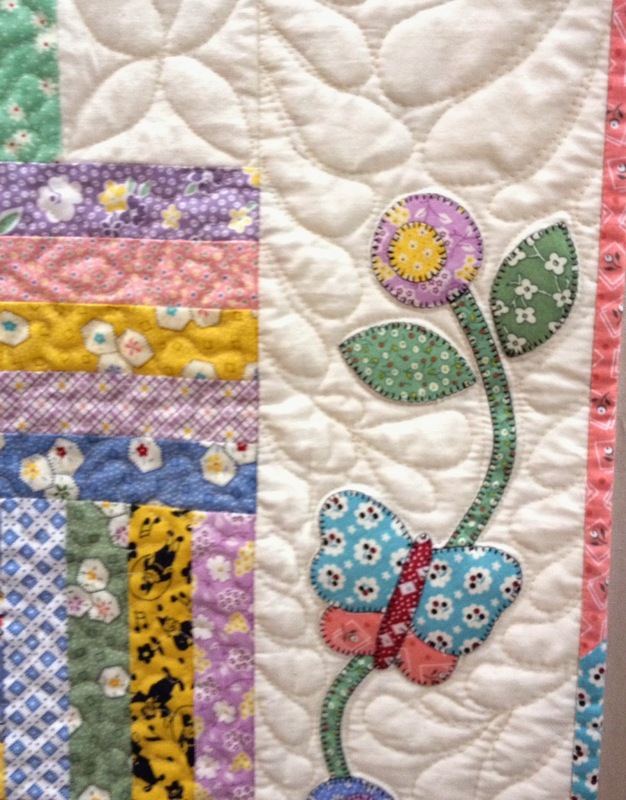 The quilt below is a crazy quilt with beautiful and creative embellishments. 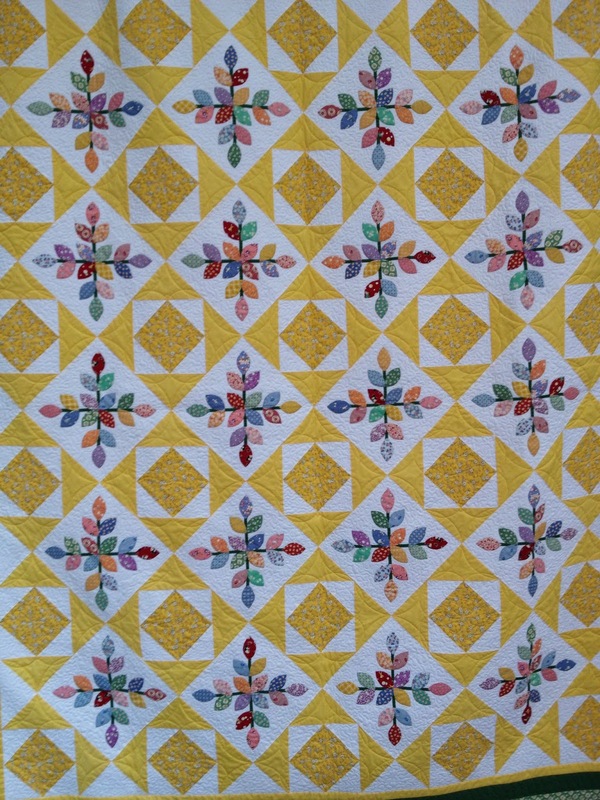 I’ve been working on a quilt with 1930’s reproduction fabrics. So of course, I really took a good look at them. And there were several. I don’t remember seeing any last year. 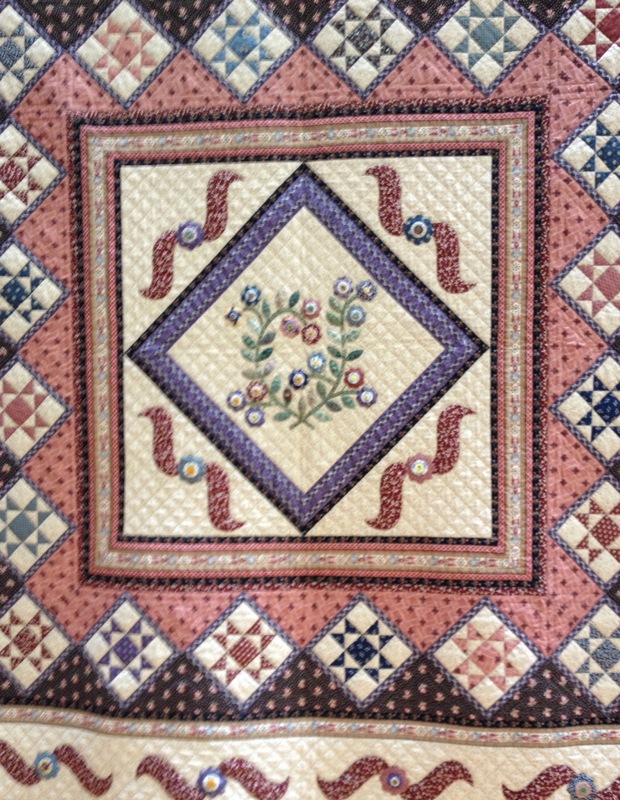 The detail on the corners and edges were impressive. 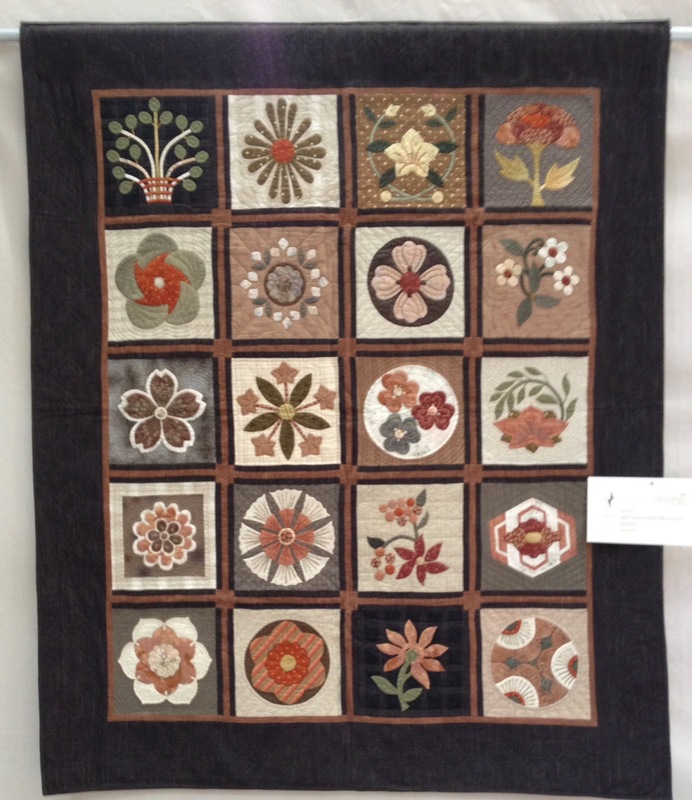 There were some great traditional quilts too. This next one was full of beautiful messages. 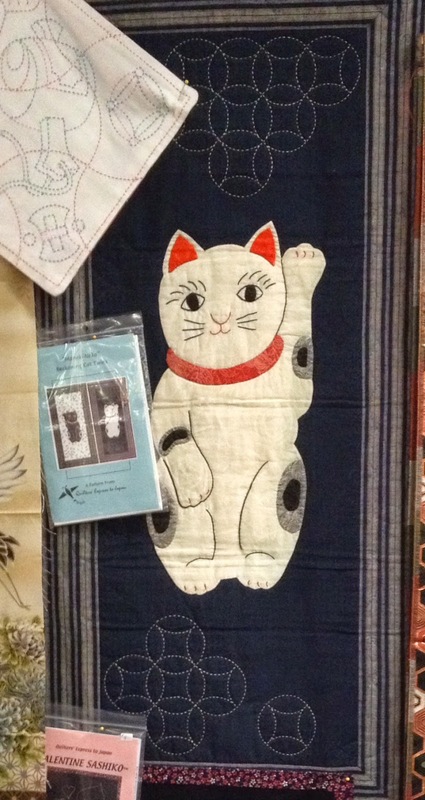 Last but not least, Zahra and I fell in love with this cat quilt, that was at a vendor’s booth. 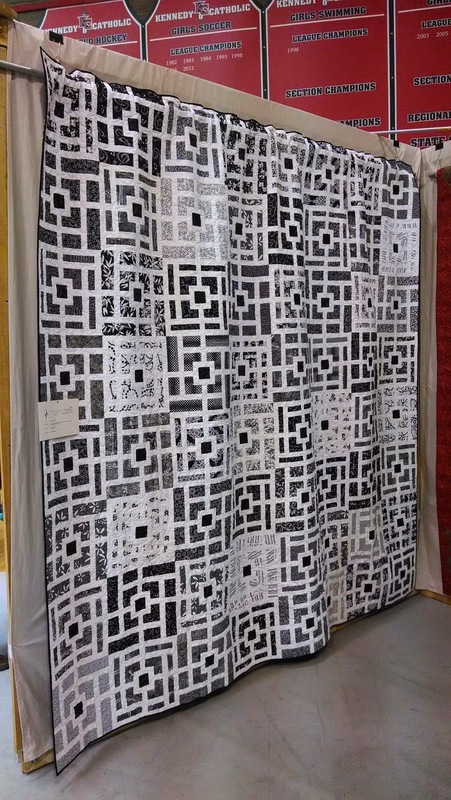 I would love to get this pattern. So we are dedicating it to Zarah’s cats; Taz and Mack, and ours, Biscuit and Emma. It was the last thing we saw yesterday. We decided the cat was waving us a farewell and thanking us for attending the show.